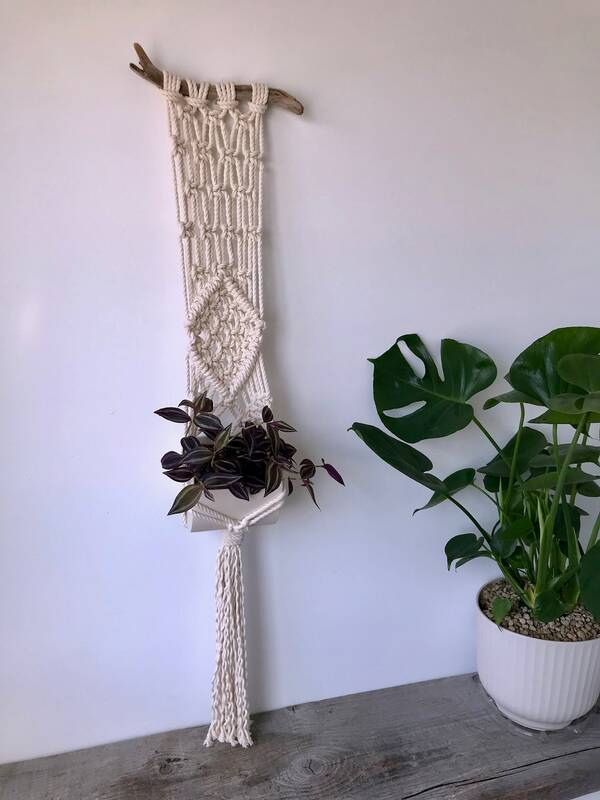 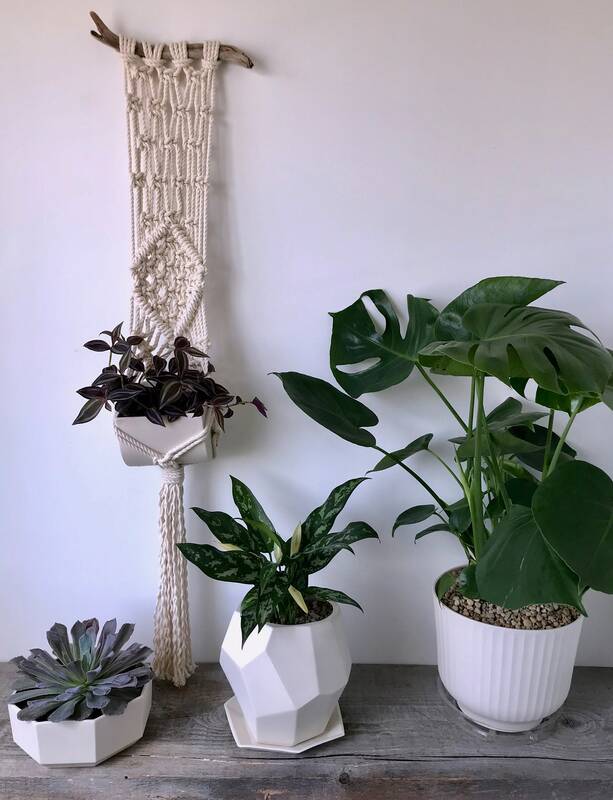 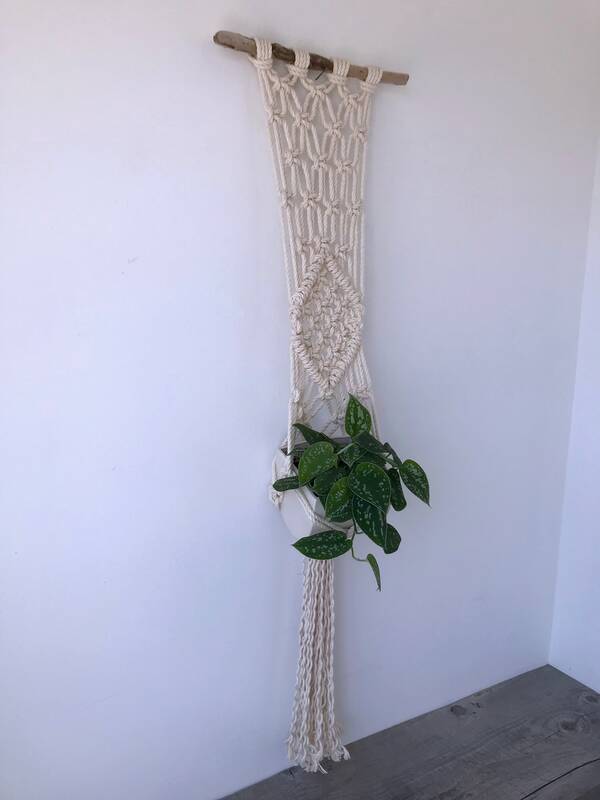 This beautiful macrame plant hanger and porcelain planter will be such a stylish addition to your indoor houseplant collection. 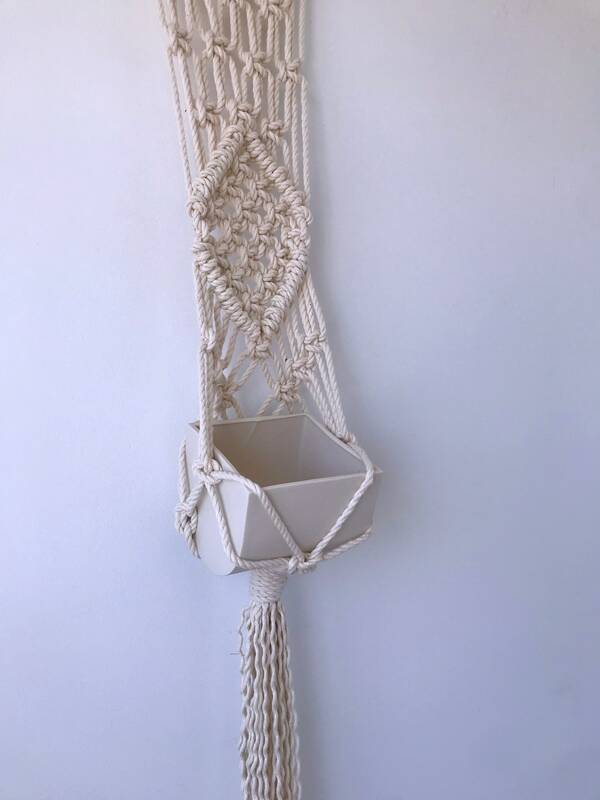 Perfect for the modern or traditionally designed home. 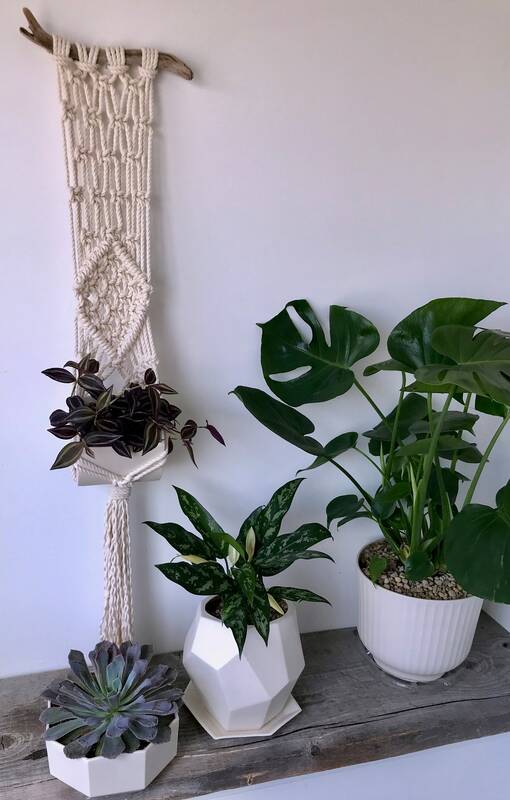 We have designed the perfect porcelain planter to fit inside this medium sized, handmade plant wall hanger. 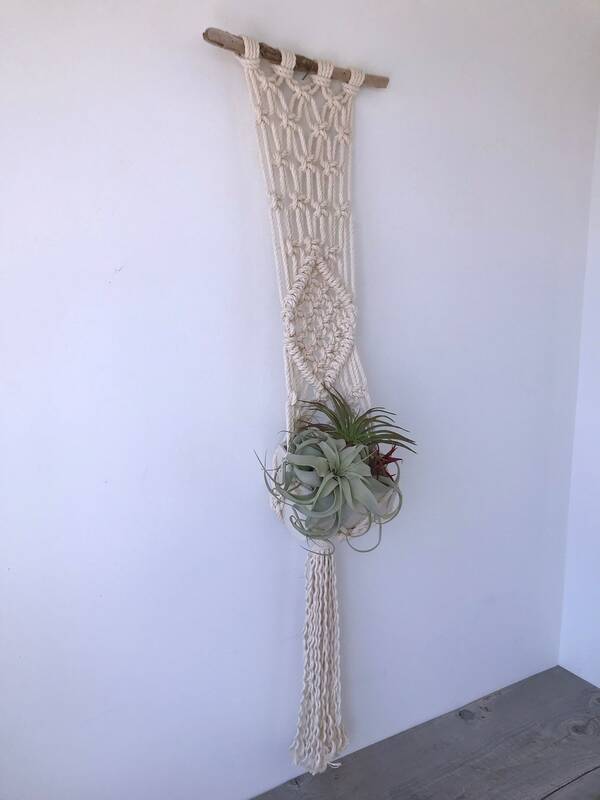 This piece features driftwood, so please note that each piece is slightly different. 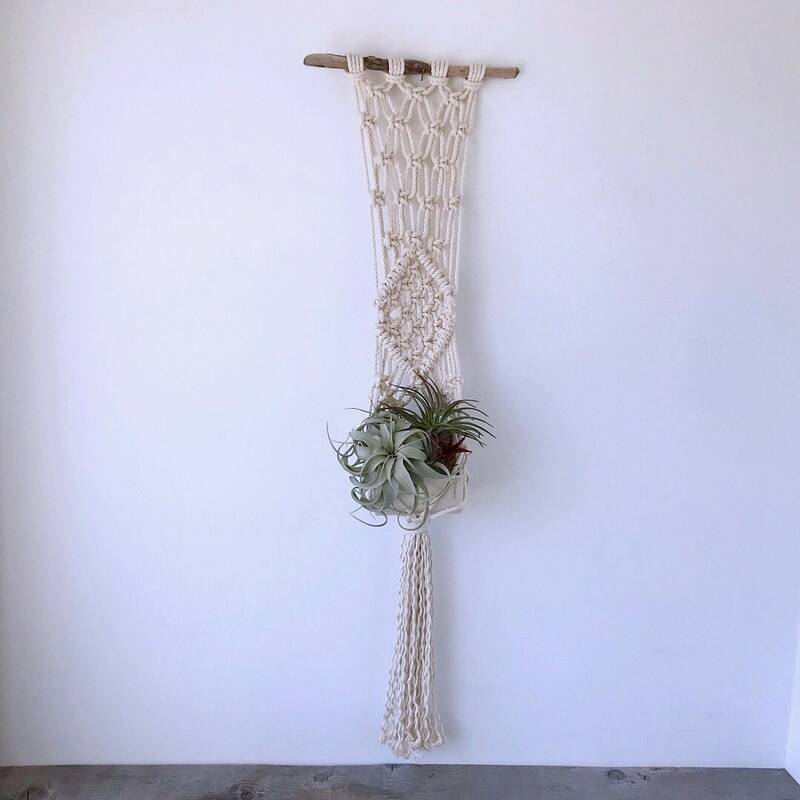 Your order will contain both the planter, the driftwood, and the macrame hanger. 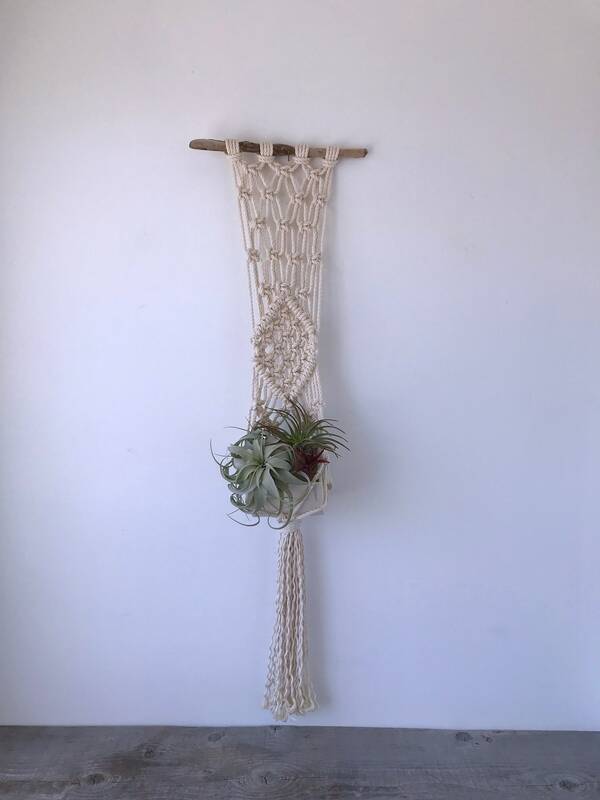 Bowl: 5.5" wide by 4.5" tall by 5"
Plant hanger measures 36'' from top of loop to the bottom of the fringe. 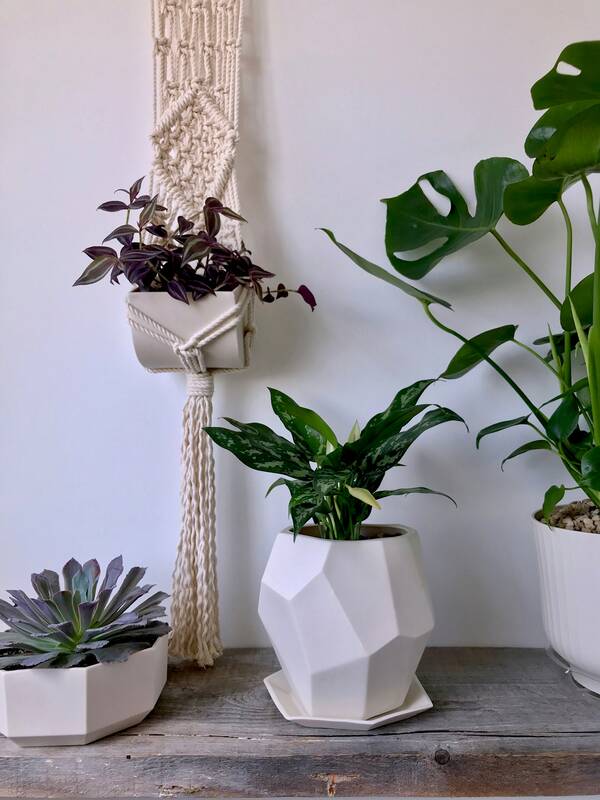 Planter is made from a fine porcelain in white and does not contain any drainage holes. 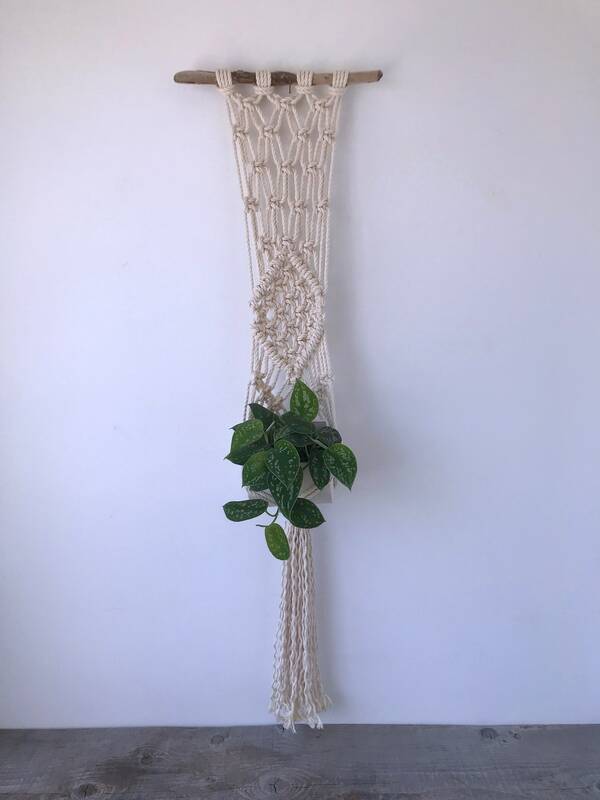 Please note, this item is made to order and there is a 7 day lead time.